Sarah. Abigail. “Aunt Nabby.” Lucy. Mary. Hannah. Elizabeth. These are the names of just a few of the Day family women residing as “single women” in Ipswich, Massachusetts in the 18th and early 19th centuries. 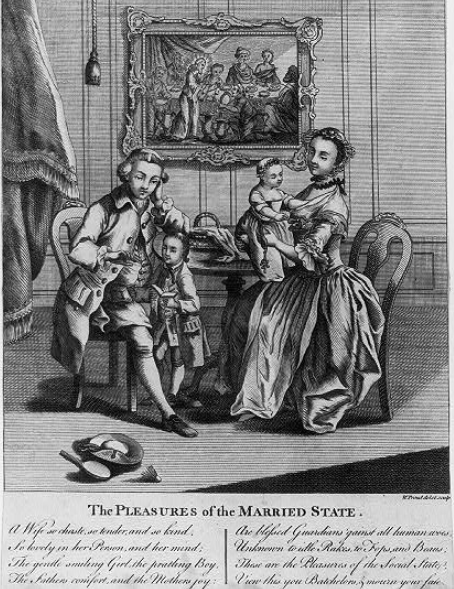 They clearly did not espouse the joys of marriage as depicted in the c. 1790 picture above. What on earth would cause so many women of the Day family to remain single in an era where women could not easily support themselves, and opportunities for the unmarried female were scarce? The obvious explanations could certainly justify a spinster or two in the family tree, but TEN? Jeremiah Day had three daughters. Two were known as “single women” at the time of probate. No marriage records have been located for his third and youngest daughter, Elizabeth, who is also presumed to have died unmarried. Jeremiah’s son Nathaniel had three daughters. None of them married. Jeremiah’s third son John had three daughters. Two remained single, and no marriage records have been found for the third, who is also presumed to have remained single. 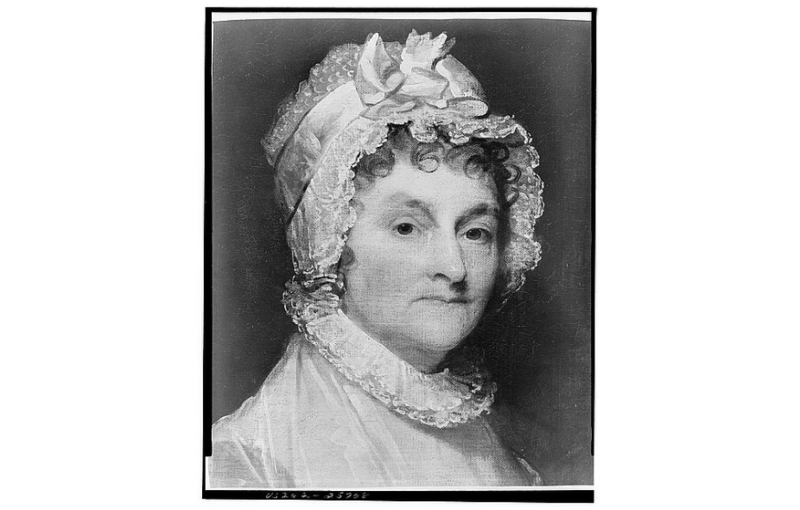 A summary of women’s history in early America is necessary before speculating on potential causes for their decision to refrain from marriage. In the colonial era, the family unit was integral to the welfare of the community. Families were interdependent for support, and between 1650 and 1750 the relationships between a husband and wife were “far more crucial than most scholars have supported.”[ii] Men assisted each other in the construction of houses, harvesting, and other tasks that required extensive manpower. They toiled outside spring through fall on their farms, and typically enjoyed a respite from hard labor during the winter months. Not so for the wife, whose chores were never ending. Sklar and Dublin also assert that a woman’s ability to supplement the family’s support through special skills such as raising fat hens or making tasty cheese or butter influenced not only her relationship with her husband but also impacted her reputation within her community. That was not enough, however; a woman must also “establish herself as an ‘obedient wife’ and a ‘friendly neighbor.’”[v] Women were interdependent, relying on each other and exchanging assistance in both household labors and tasks in the yard. As in most countries, early American women faced marriages that were not made of love, but of economic and strategic necessity. Men relied on women to maintain the household, bear children, and to advance in society. A good wife positioned the husband well for future success, both in her contribution to the family unit as well as in social position, depending on the bride’s wealth and family privilege. However, during the 1700s, this approach to selection of a marriage partner slowly began to change, and men and women began to view marriage as a union of two individuals who loved each other. At the same time a religiously grounded morality informed the ideal of character, in the sense not simply of a ‘complex of mental and ethical traits” but also of “moral excellence.’ High ideals of love and marriage came together with high standards of character, and it became socially and personally acceptable not to marry if marriage involved compromising one’s moral standards. As a consequence of the above developments we see a strikingly novel portrayal of spinsters and spinsterhood: the image of the spinster as a highly moral and fully womanly creature. This implied a change in the conception of the purported reasons for remaining single–that spinsters could have married if they had chosen to compromise their moral principles for the sake of matrimony. They remained unmarried not because of individual shortcomings but because they didn’t find the one ‘who could be all things to the heart.’ Spinsterhood was increasingly viewed as an outcome of intricate choices and spinsters as champions of uncompromising morality. Berend cautions 21st century readers that the spinsters of the 18th and 19th centuries were not seeking self-actualization. Rather, they considered their autonomy as a duty, and were convinced they must use their lives to serve a higher purpose. They sought a vocation that would allow them to help others, and in doing so, were fulfilling their God-given purpose. Yes, spinsters or single women were likely affected by a multitude of factors that impacted their decision to remain unmarried. In New England, young men often migrated west in search for land. Subsequently, women outnumbered men 5 to 4. The pool of potential suitors was dwindling. Additionally, “with the separation of church and state after 1800 and the end of public support for ministerial salaries, ministers became dependent upon the laity for financial support, and since the majority of the laity were women, many ministers developed new respect for them, encouraging women to seek greater social influence.”[x] Remaining single certainly allowed them to do so. Singlehood was certainly an option for women who sought to protect any property or real estate they possessed, whose ownership otherwise would have been transferred to their husbands upon marriage. A life as a spinster protected the woman from the risks of childbirth, which was a frequent cause of early mortality. One can only speculate why so many of John Day’s aunts, sisters, daughters and nieces remained unmarried. While the changing attitudes towards marriage may have played a significant role, the number of single women in the family was out of proportion to the population. One thing is certain: these women had supportive families and the means to remain unattached for life. 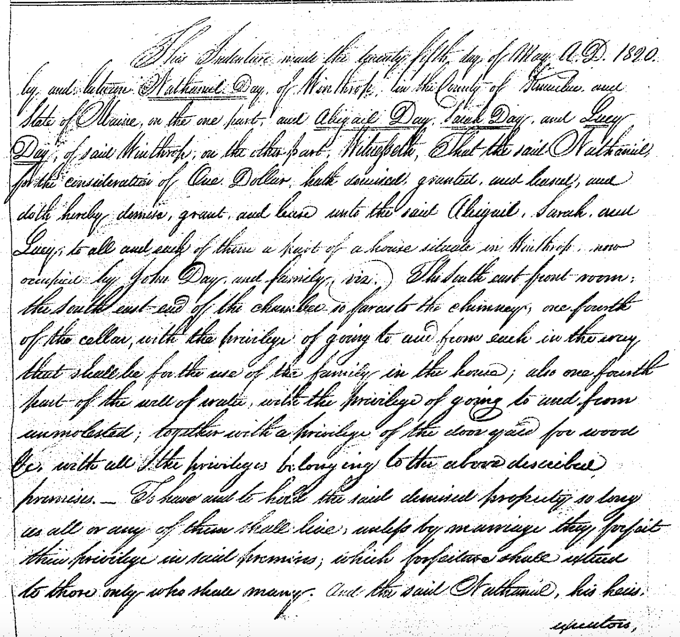 Take, for example, John’s daughters, Abigail, Sarah and Lucy, who in 1820, for the price of $1, each received 1/4 portion of their father’s former residence, deeded to them by their brother Nathaniel, with the condition that they would forfeit their interest in the residence upon marriage. The Day family was close-knit, and the men were dedicated to the welfare of their female kinfolk. They clearly had the means to assist their sisters, aunts, and nieces, who did not have to marry out of financial necessity. In an era when marriage was still the norm, the Day family women weren’t afraid to break out of the mold. [i] Saxton, Martha. Being Good. New York: Hill and Wang, 2003. [ii] Sklar, Kathryh K., and Thomas Dublin. Women and Power in American History: A Reader, Vol. I to 1880. Englewood Cliffs: Prentice Hall, 1991. [iv] Sklar and Dublin, 1991. [vi] Buhle, Mari Jo, Terry Murphy, and Jane F. Gerhard. A Concise Women’s History. Upper Saddle River: Pearson Education, 2015. [vii] Woloch, Nancy. Women and the American Experience, 5th ed. New York: Knopf, 1984. [viii] Berend, Zsuzsa. 2000. ““The best or none!” Spinsterhood in nineteenth-century New England.” Journal Of Social History 33, no. 4: 935-957. Social Sciences Full Text (H.W. Wilson), EBSCOhost (accessed August 12, 2015). This entry was posted on Wednesday, September 2nd, 2015 at 9:16 AM	and posted in Day, My Family Lines. You can follow any responses to this entry through the RSS 2.0 feed. Thank you so much for the kind words. Women’s history is certainly fascinating, and being able to unravel it in one’s own family tree makes it quite real!